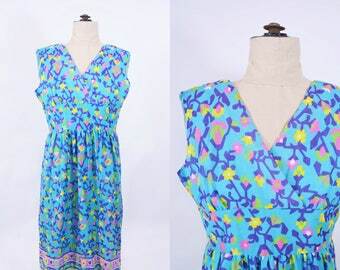 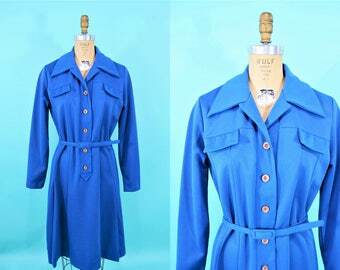 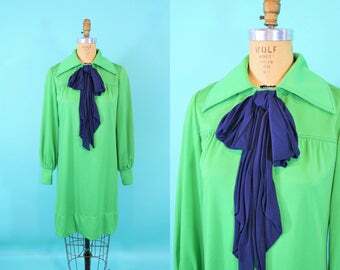 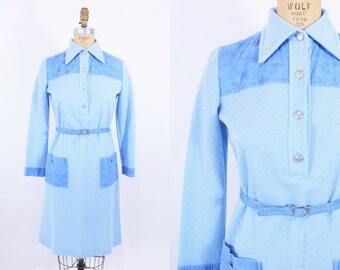 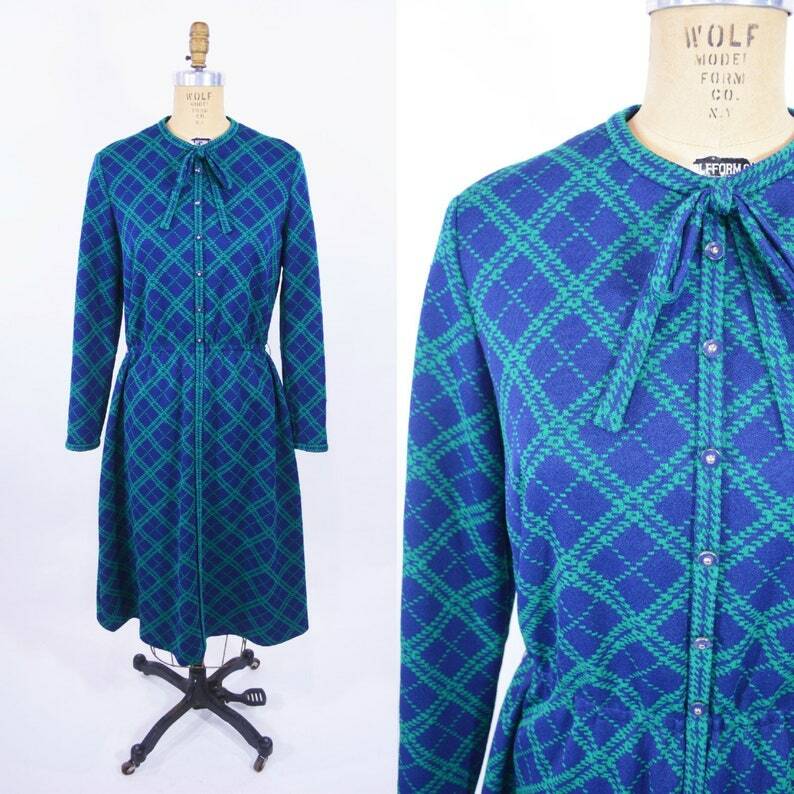 1970s plaid dress | AS IS blue green vintage secretary dress | W 29"
They always say "look great, feel great" and you'll certainly look great in this 1970s dress! 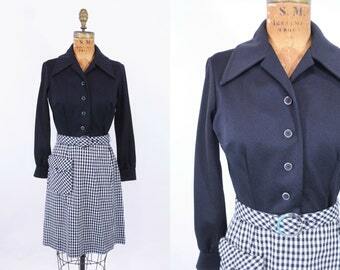 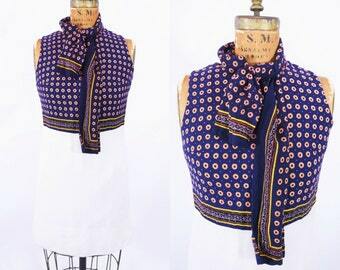 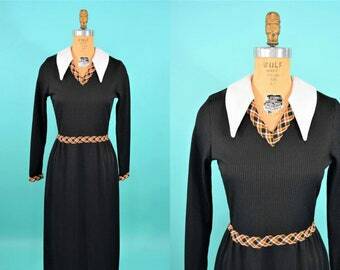 This McMullen dress has a navy blue fabric with a green houndstooth/plaid design with bow at the neckline and faux buttons down the bodice. 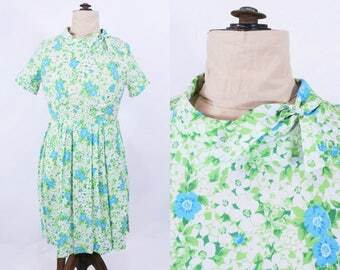 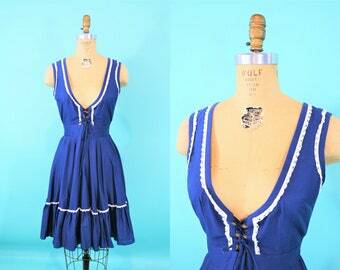 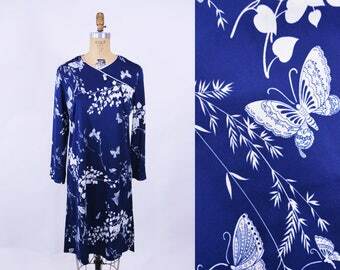 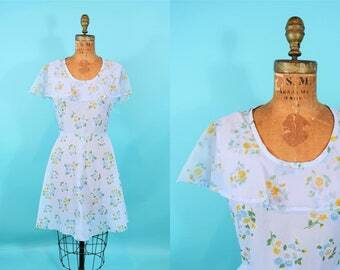 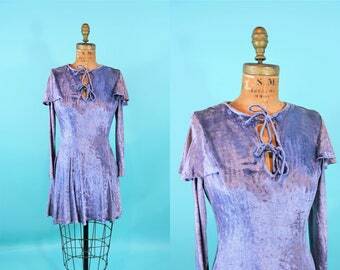 Dress is unlined, with an elastic waist and zips up the back. 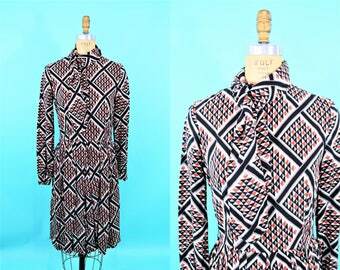 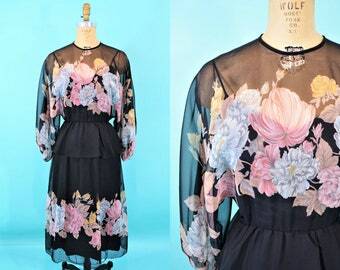 1970s day dress | black white checkered skirt secretary dress | W 26"
1970s mod dress | green navy blue bow ascot vintage shift | B 36"
1970s sheer dress | black bohemian pink blue vintage floral dress | W 23-26"
1970s corset dress | blue country western square dancing vintage dress | W 22-28"